Quantum entanglement is a central foundation for the new quantum technologies of the 21st century. 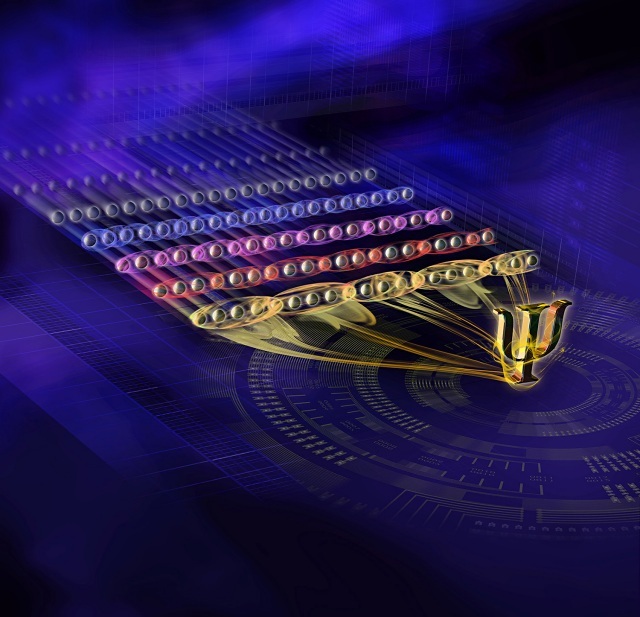 A German-Austrian team of researchers now presents the greatest entangled quantum register realized up to date, which consists of individually controllable systems of a total of 20 quantum bits. The physicists from Innsbruck, Vienna and Ulm expanded the experimental and technological methods to the limits of current possibilities. We show an illustration of the new exotic quantum states produced in Innsbruck, i.e., the entanglements in a chain of 20 single atoms. Observed were entanglements between neighboring pairs (blue), triplets (pink), quadruplets (red) and quintuplets (yellow) of atoms before the system became too complex to be analyzed with existing techniques.